Insanity Workout - Facts And Review - Bonny Was Fat. Not Anymore. The Insanity Workout is an excellent way to boost fitness and improve your health. People often forget that weight loss and a good shape cannot be achieved by taking pills or using a gadget which makes empty promises. They create hype but give no results. So if you’re adamant about burning those calories and eating healthy, you should consider Shaun T Insanity. It is a 60-day training program which will reveal the secret of being fit and happy throughout your life. The workout consists of a series of non-stop fast paced moves. Repeat the same movements thrice and pause. Then proceed to the next sequence. Generally, the workouts last 40-50 minutes and can be done in the comfort of your home or in a gym, park, etc. This is a godsend for people like me who hate going to the gym and feel intimidated. But the main reason why this workout is generating a buzz and getting rave reviews all over the internet is the fact that each workout will burn about 600-1000 calories from your entire body! Amazing isn’t it? The Insanity Workout helps you burn fat and get into super shape, super fast! These workouts are simple to do, and very addictive. The results are visible so quickly that you will be motivated to keep going to see how many more pounds you can lose! You can further improve your physique by consuming supplements which must be purchased separately. If you have doubts, consult your doctor before you leap into this workout. It is a mixture of resistance and strength training. This is a serious workout for people who are already fit. It’s not for the fitness newbie. With high intensity comes greater risk of injury. To avoid injury, you will have to know the correct form and technique for each move. You really need to know what you’re doing and listen to your body. It is very intense, so be ready to give it your all when you are ready to take the plunge. Working out at that level means results in much less time. The rewards will be some serious cardio along with calorie burning and muscle sculpting. 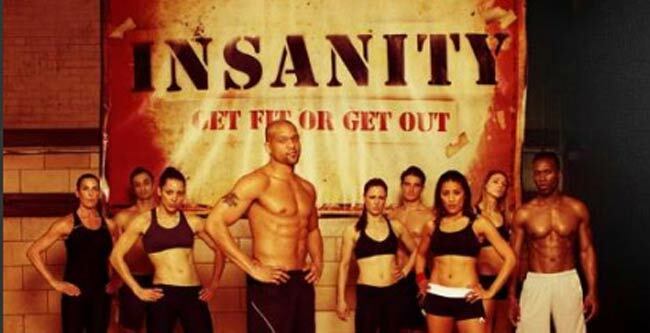 The Insanity Workout is created by Shaun T. He is the creator of many other popular programs such as Insanity Hip Hop Abs and Rockin Body Workout. It requires no training equipment and takes 60 days to complete. Fitness Guide focuses on teaching various training moves. However, this high intensity training is not suitable for beginners. It is a mixture of cardio, workout and strength. The Insanity Workout is tough for beginners as compared to other workouts but it has lasting effects. To get the perfect body structure you should go for this program under the guidance of a trainer so as to get more benefits. You can also do it at home it is recommended to follow your instructor’s training program. In short, the Insanity Workout is the ultimate solution for obesity and other weight related issues. So sign up and get ready to enjoy life to the fullest.